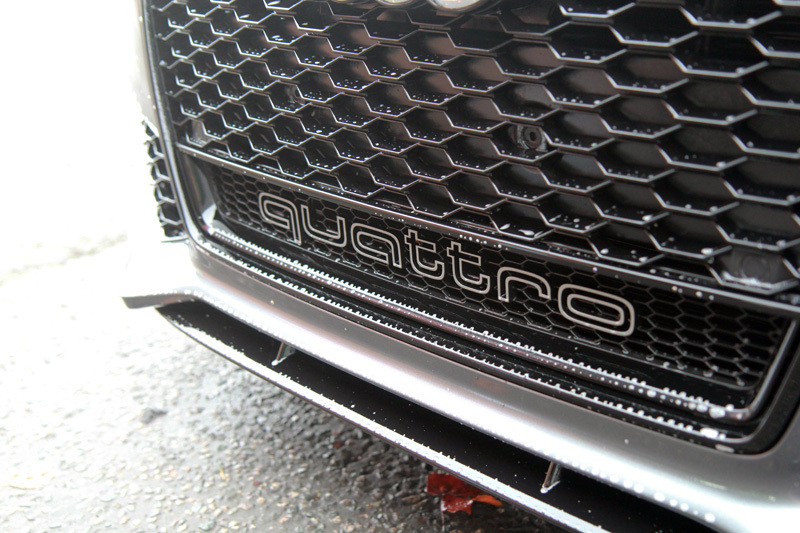 The Audi RS6 Quattro Avant has something for everyone. 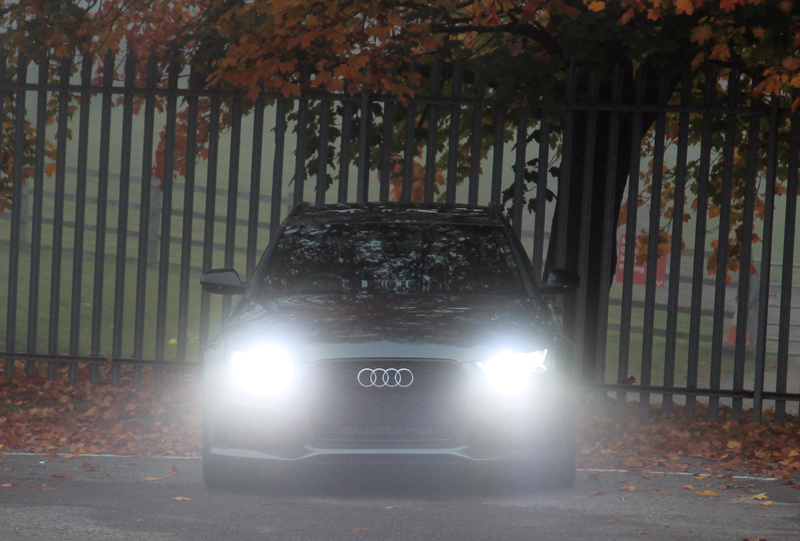 As an Audi, it offers luxury and quality, together with innovation and reliability. As an Avant, it has plenty of space for a busy modern family. 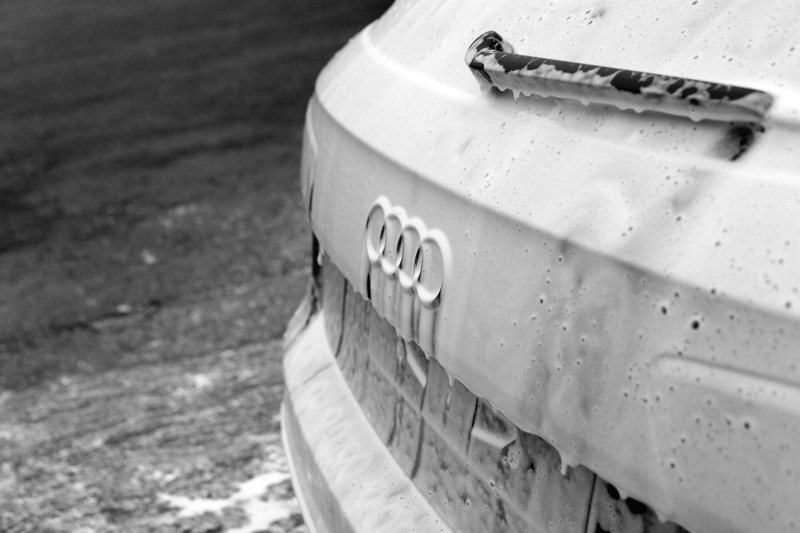 As a Quattro, it can handle wet, icy, treacherous road conditions. 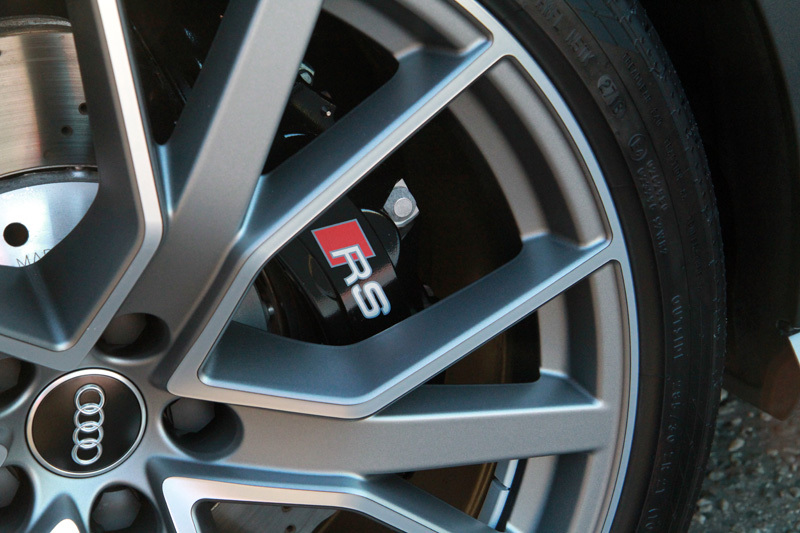 And as an RS, it’s powered by a 4.0 litre V8 engine, so it provides all the fun you could possibly want. 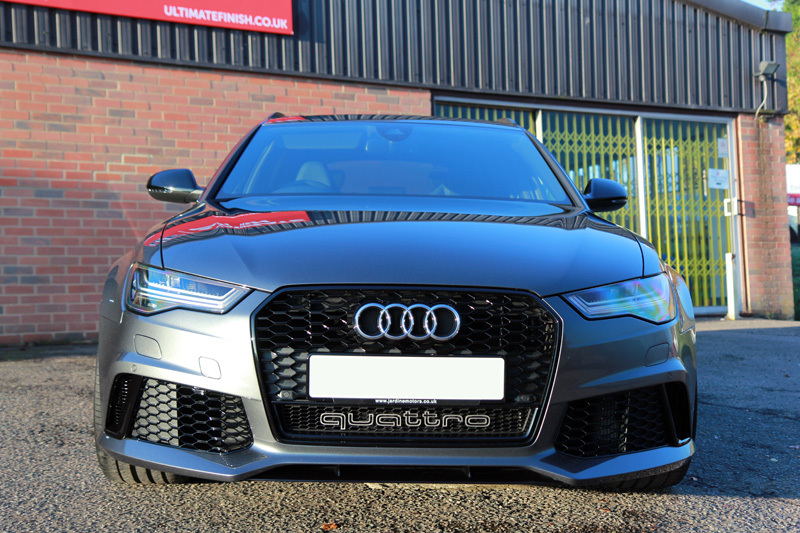 Of course, all this comes at a price, so when the owner of this RS6 Quattro Avant collected his new car he booked it into UF’S Brands Hatch Detailing Studio for a New Car Protection Treatment and Alloy Wheel Protection. 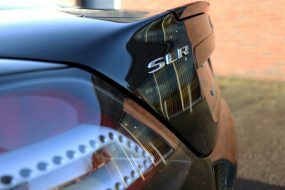 Before a protective sealant can be applied, it is first necessary to ensure each surface is completely clean, free from obvious contamination such as dirt and bird droppings and hidden contamination such as oily deposits and iron particles. New cars are often transported via rail for part of their journey from factory to dealership. Iron contamination is derived from wheels when trains apply their brakes. These tiny hot particles bond to the first surface they land on and begin to oxidise, causing them to swell. Left in situ they can cause pitting in the clearcoat. As nano-coatings used to protect the car form a permanent bond with the substrate, it’s imperative not to seal these imperfections in. 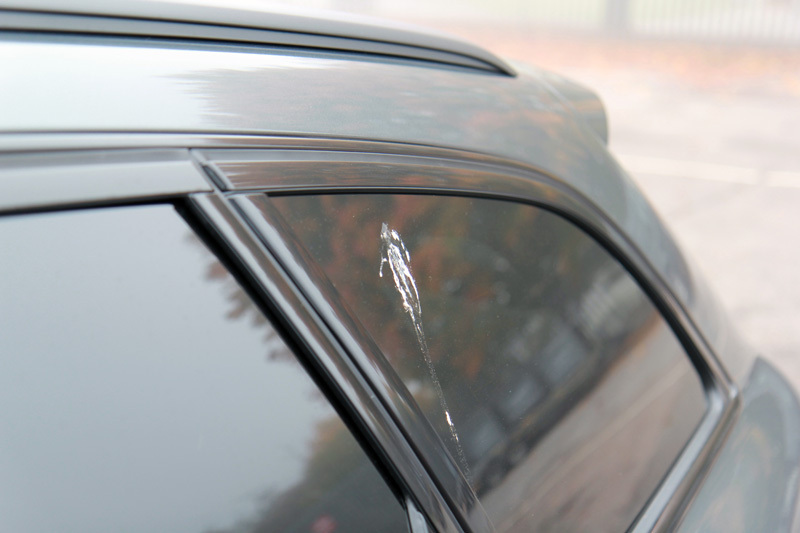 To ensure the metal particles were removed, Bilt-Hamber Korrosol was sprayed over the car. Korrosol contains an active ingredient which changes colour on contact with iron contamination and causes it to shrink, breaking the bond the particle has formed with the substrate. These harmful elements can then be rinsed away with a jet of water, rather than having to rub at them with a wash mitt which can cause swirls in the paint lacquer. Korrosol was also applied to the wheels and allowed to dwell before they were cleaned using a UF Wheel Bucket and Wheel Woolies. These long-handled brushes come with different sizes of brush heads to fit through the spokes of alloy wheels. 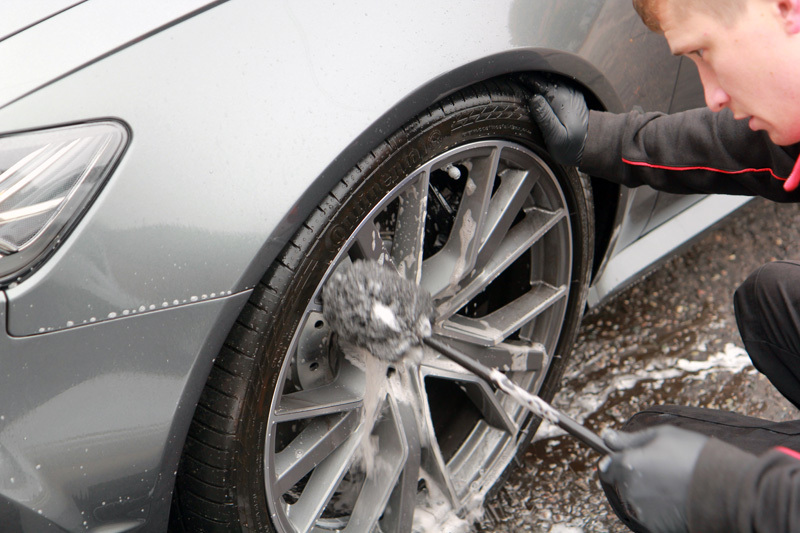 The rear of the rims can, therefore, be cleaned properly without the wheels having to be removed. 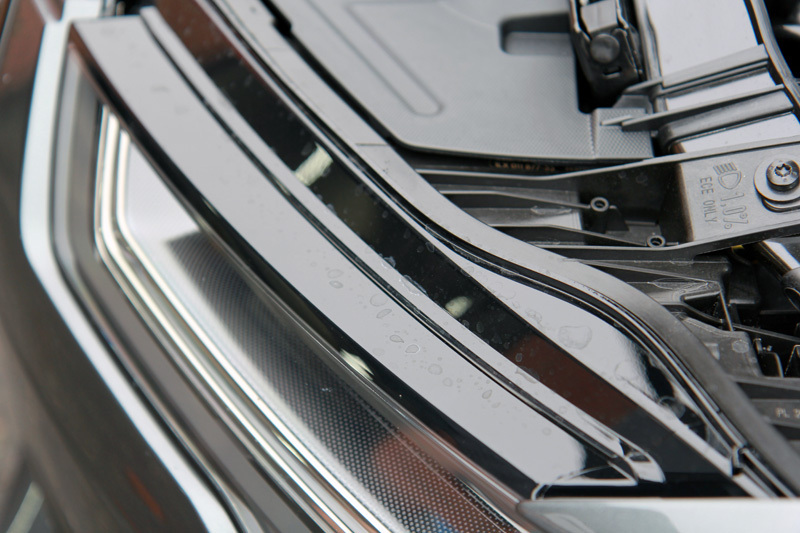 The black plastic trim under the engine bay showed signs of water spot deposits. These unsightly marks are caused by minerals found in rain and tap water, the chalky residue can be difficult to remove without damaging the underlying surface. Left in-situ they can bake onto and etch into the surface, at which point they require polishing to remove. 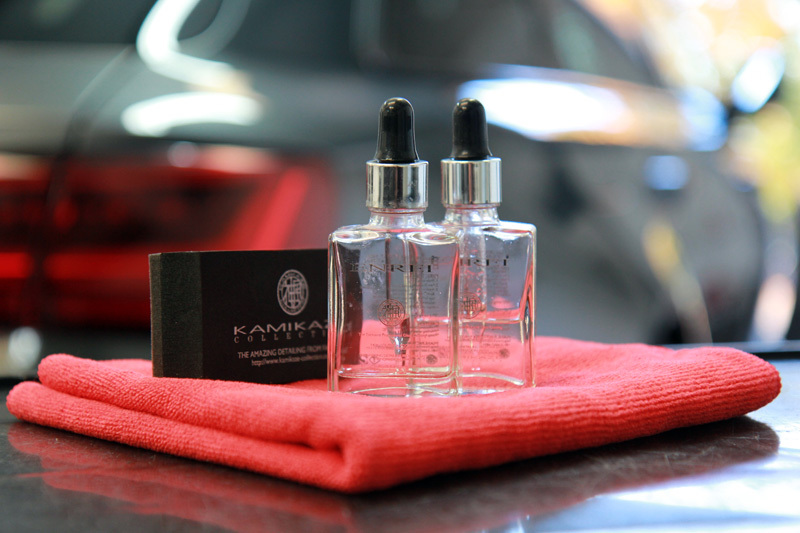 To remove these effortlessly, Kamikaze Collection Water Spot Remover was applied, allowed to act on the compounds, dissolving them. The contamination was then rinsed away. New vehicles are protected with tape and waxes during transit. Once removed, these leave behind sticky residues. To remove these the RS6 was treated with Nanolex Tar Remover. This dissolves adhesive elements such as tar deposits, protective tape residue and bug remains. Then the surfaces were treated with Meguiar’s All Purpose Cleaner to remove oily contamination and any diesel residues splattered up from the roads. 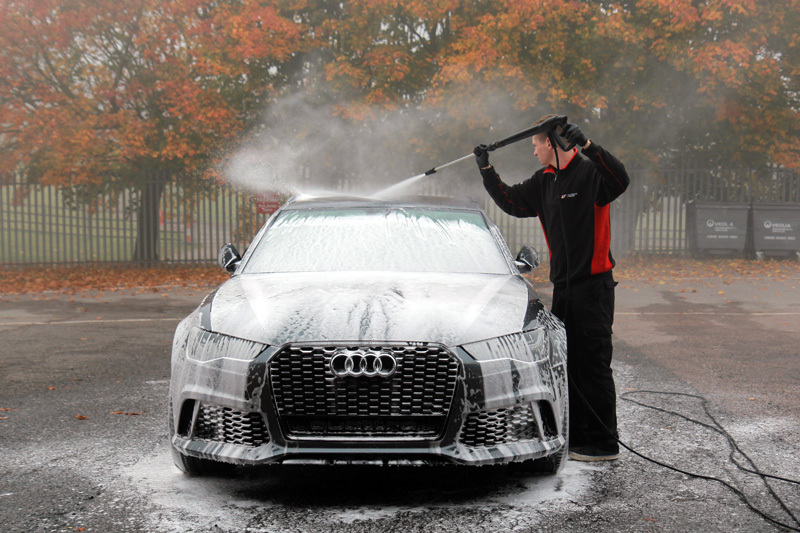 The car was then rinsed once more before being pre-cleaned using Ultimate Snow Foam to remove any remaining large particles of dirt and grit from the surfaces. 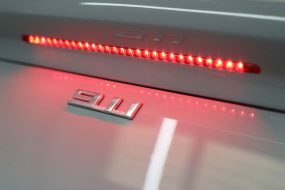 As the majority of paintwork swirls are introduced during the wash stage, where contamination from the surfaces are rubbed back and forth with a wash mitt, it is essential to ensure as much contamination as possible is removed using non-contact methods. Using a Kranzle K 1152 TST Pressure Washer, Ultimate Snow Foam was rinsed completely away ensuring it was removed from every crevice. 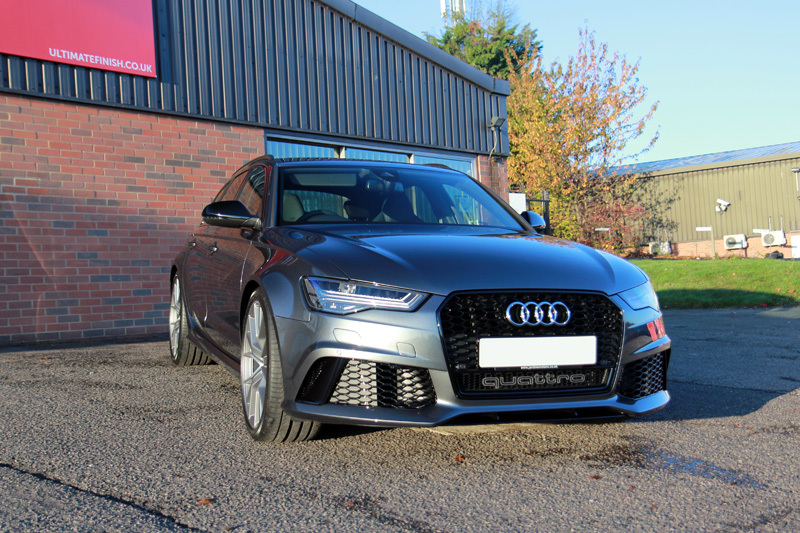 The RS6 was then washed using a separate UF Wash Bucket and Rinse Bucket both equipped with Grit Guards, an Ulti-Mitt Double Sided Merino Wash Mitt and Nanolex Pure Shampoo. Designed for use prior to the application of nano-sealants, Pure Shampoo rinses completely clean leaving zero residues to interfere with the bonding of the sealant. An Aqua Gleam De-Ionising Water Filter was connected to the hose to give the RS6 a final, pure water rinse before it was dried using ultra-soft microfibre towels. Once inside the studio, the paintwork was inspected under high-intensity lighting for blemishes. If found, these would require removal prior to the coating being applied, otherwise, the defects would be permanently sealed beneath. To protect the paintwork, Kamikaze Collection ENREI COAT was used. ENREI is the latest innovative coating from Kamikaze Collection and uses two-layers for ultimate protection. The initial layer acts as a primer, penetrating the microscopic pores in the paint’s lacquer to form a secure bond whilst presenting an increased surface area for the top coat to bond to. 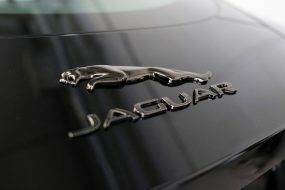 The second layer provides a tough, resistant hydrophobic barrier that repels dirt, water and oils. The unique formulation prevents the issues many ceramic sealants experience with water spotting. ENREI is virtually impervious to extremes of pH, making it the ideal solution to the unique conditions presented by winter driving. As an added bonus, ENREI enhances the finish of the paintwork, leaving a candy-gloss like shine. 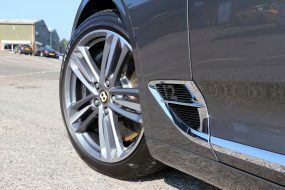 The alloy wheels were coated with Gtechniq C5 Alloy Wheel Armour. This nano-sealant is especially heat-resistant, so will not burn off when the wheels become hot. Water and oil repelling, C5 is ideal for the onslaught of conditions presented when driving on wintry roads: dirty water beads, carrying contamination away and preventing it from adhering to the wheel surface. 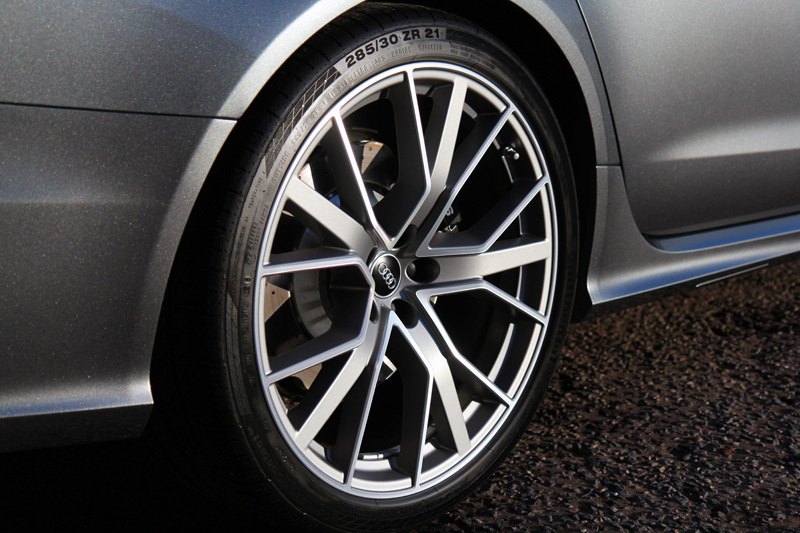 Brake dust is also repelled, making wheels much easier to maintain and negating the requirement for harsh chemicals or scrubbing at the wheel’s lacquered finish. 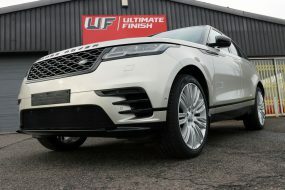 The tyres were then dressed using Fireball Ultimate Tyre Coating Wax (Blue) to present a gloss finish. 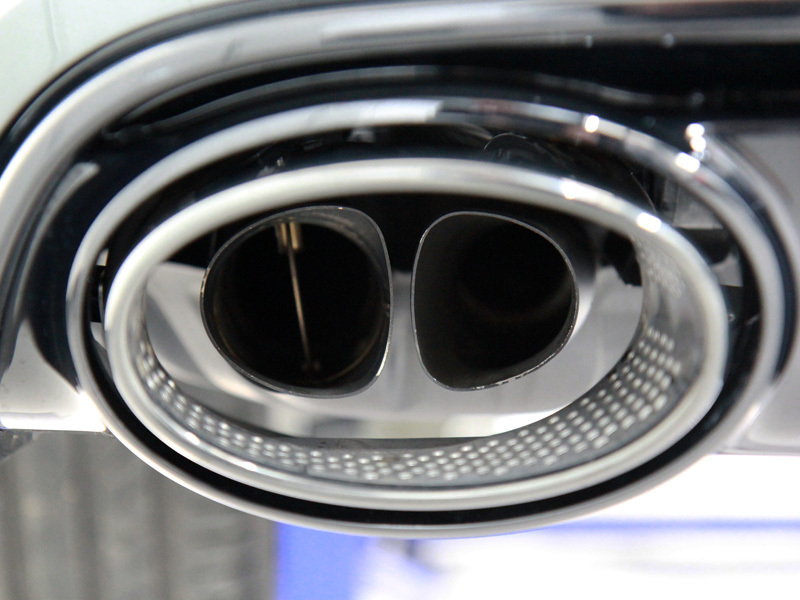 The exhaust tips were also protected using C5 – ideal for all metals that experience high temperatures. The glass was coated with Gtechniq G1 ClearVision Smart Glass. This repels rainwater, snow, sleet and ice, making driving less tiring during bad weather conditions and making early morning starts easier on freezing mornings.